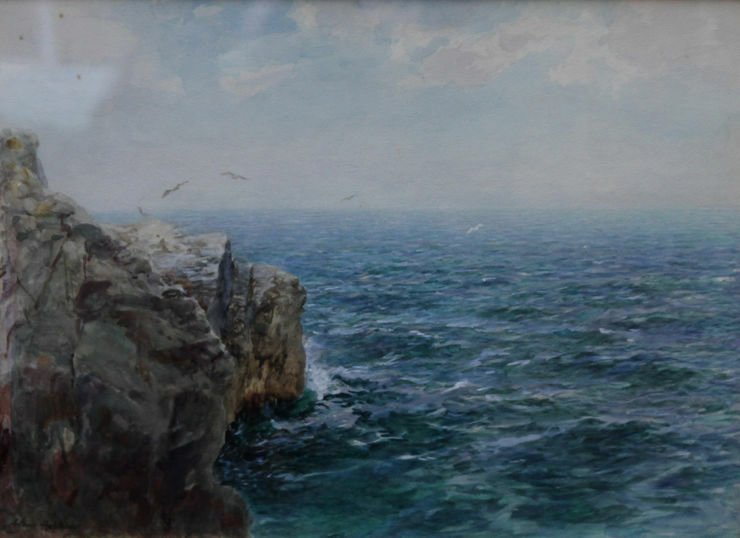 A beautiful Victorian seascape watercolour by Arthur Hopkins which dates to circa 1880. In outstanding condition and with excellent colours, this is a superb painting of the Atlantic Shores. 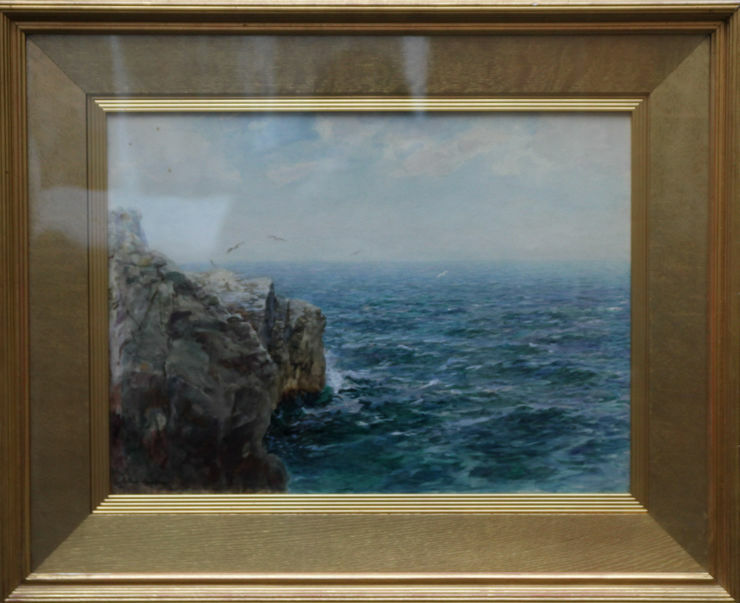 A beautiful Victorian marine watercolour housed in its original gilded oak frame. Gilded oak frame 27 inches by 22 inches. In good gallery condition behind Victorian glass. In good condition with excellent, strong colour.